Today we're taking a walk down Memory Lane. I get to re-share one of my favorite Great Impressions cards that I have made from my time as a Design Team Member. Here's my first one, more to come next month. 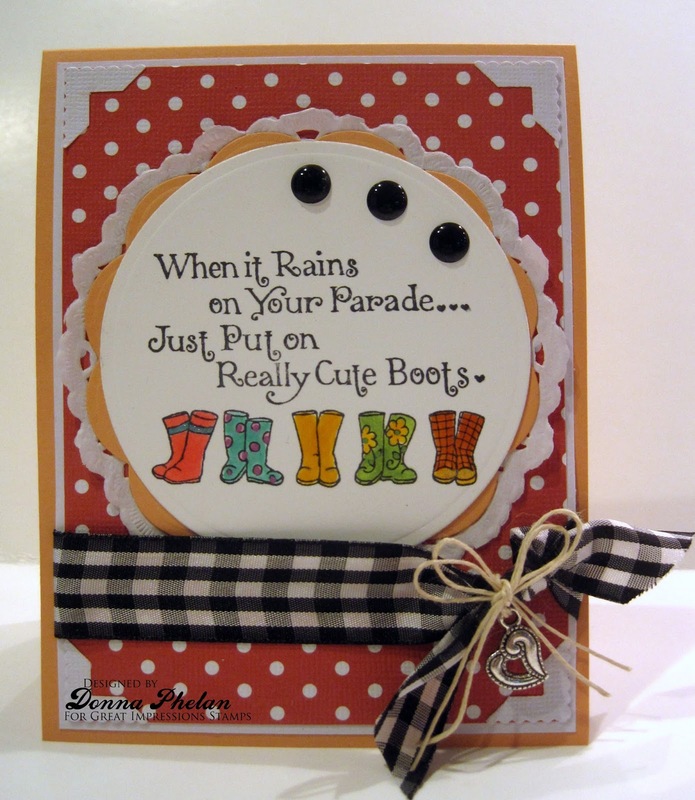 I used the F448 When It Rains stamp set. I adore this sentiment with these sweet little rain boots! Sentiment and image stamped using Tuxedo Black Ink and colored with Copic Markers. I added a wee bit of Sakura Glitter Pens to some of the boot accents, they give it a subtle sparkle. Classic and Scalloped Circle dies layered on top of a doily. Corner Tabs, Enamel Dots, Black & White Gingham Ribbon, Jute Twine and a little silver heart charm as an accent. I can see why that is a favorite...it is adorable! One of my faves too! 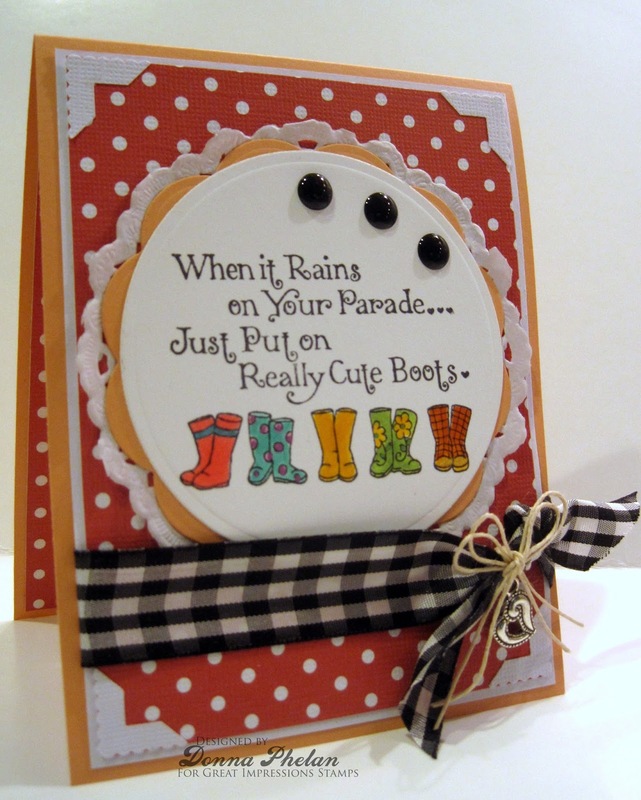 Such a sweet card...love it!